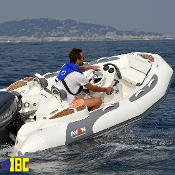 IBC is the leading authority on inflatable boats with over 40 years of experience in inflatable boats; racing, sailing, rescue, and military operations. You may contact us by phone (503)235-2628 Tuesday - Friday 9:00 - 5:00 and Saturday 9am-3pm Pacific Standard Time. Zodiac Fastrollers Back In Stock! Zodiac Cadet 290 R.I.B. PVC Zodiac Cadet 310 R.I.B. PVC Zodiac Cadet 260 NEO R.I.B. Zodiac Cadet 340 R.I.B. PVC Zodiac Cadet 310 R.I.B. Grey NEO Zodiac Cadet 340 NEO R.I.B. 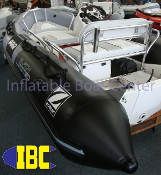 IBC is known for it's integrity, superior service, innovation, teamwork, quality, and experience serving the recreational, professional, and military sectors for over 40 years.